While entering the home health industry makes sense for senior living providers, a considerable amount of due diligence is required before plunging into the marketplace, said panel members on Thursday during Senior Housing News’s webinar, Time for Senior Housing Operators to Get Into Home Health Care? 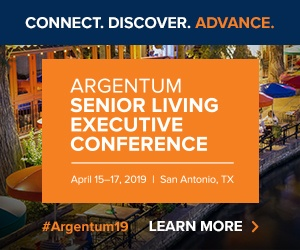 A massive aging population offers an incentive for senior living providers to expand their services, according to Chris Guay, senior vice president of Operations & Ancillary Services at Emeritus. In November 2012, Emeritus announced the purchase of home health provider Nurse on Call for $102.5 million. Given the demographics of America’s aging population—with 8,640 seniors turning age 65 per day—the entry into the home health market “made sense,” says Guay. Acquiring Nurse on Call enabled Emeritus to expand its offerings, while at the same time helping to build a bridge from home to the senior living community. The partnership with Nurse on Call also helped Emeritus create efficiencies, says Guay, as having patients under one roof helped reduce travel time for home health aides, and enabling senior living providers with measurable clinical data. But while the benefits of a partnership between senior living providers and home health agencies are numerous, providers need to conduct a comprehensive market study before pursuing any agreements, according to Sarah Lentz Spellman, a healthcare director at accounting and consulting firm CliftonLarsonAllen. Part of this market study includes analyzing the demographics, competition and surrounding geographic area, says Spellman, who says taking the acquisition route is a viable way to command a given marketplace. “[Acquisition] is a great option in a more competitive marketplace, because it takes a competitor out of the system, putting you in its place,” says Spellman. The downside to this, according to Spellman, can happen when companies enter an agreement, “date” for a while and then “break-up.” The development process usually takes a long time, and in these cases it ultimately delays entry into the marketplace. “You have to do very thorough due diligence on who you are looking to acquire—and not just financially,” says Spellman, advising providers to also look at the clinical aspects of the business in question. Understanding how a company clinically manages their patients, while also analyzing past surveys on performance reviews, can help more accurately assess potential risks when making a purchase, she says. Providers must also consider financial, Medicare and regulatory due diligence once they sign a letter of intent to acquire a home health company, according to Guay, who says it has to be all or nothing. As thousands of older Americans age everyday, panelists agree that the need for home-based care services will continue to be at the forefront of the healthcare system.